Time for cost-cutting at Shell – again! Â Times of economic difficulty are the times that the macho micro-managers in Shell like best of all. Because then they can show their machismo by wielding cost-cutting axes almost with impunity – it’s happened many times over the years and it always follows the same pattern. First there is an announcement unusually couched in slogans about the need for “greater efficiency” or “More focused business” or “delayering” then we get the call to arms and the “challenges” – these are pretty unsophisticated – usually with some finite value target such as “reduce costs by 15% minimum”. Then reality kicks in with the realisation that reducing costs means employing less people as much of the rest of the cost base is not very suitable for more than a bit of cosmetic trimming on the margin. Maintenance and repair budgets always suffer so the petrol stations start to look a bit dowdy and the repainting schedule at installations gets extended again. Expenditure that protects Heath and Safety should be immune from these attacks – but as we have seen over the years there are too many shocking examples of where Health and Safety has been put at risk because maintenance budgets have been cut.The buzz word that is often used when the cost-cutting imperative comes to the fore is “discretionary” expenditure. As the term suggests this is supposed to describe things that you would perhaps like to spend your money on but don’t absolutely have to – at least in the short term. This tends not to be the bonuses of the high priced help, although it certainly should mean these. It very often does mean expenditure for which the benefit is difficult to quantify in the short term and for which the payback may not be easily expressed in monetary terms. Advertising and other communications expenditure is a classic example of this. Those of us who worked hard to try and build the Shell brand never thought that expenditure on brand communications was “discretionary”. We argued that you had to maintain a reasonable amount of brand communications activity over the years and that there should be much more consistency in this expenditure. We rarely if ever succeeded with these arguments – all too often we were challenged to show the measurable benefits of advertising – something which you can rarely do. If we couldn’t prove that advertising paid then it was very vulnerable to be reduced or cut completely. This mindset permeated so much into the DNA of the company that in some business areas it became the norm. Shell has a fuel brand called “V-Power” but in virtually all markets the benefits of this brand are not promoted in advertising – except at the minimum level such as point of sale at petrol stations. You can’t build a brand without communicating its benefits – brand name recognition is not enough. Over the following year or so of difficult economic times you can be sure that Shell will be ruthlessly cutting costs – egged on by the financial analysts in the city for whom cost-cutting by companies is always something to cheer. And with a “bean-counter” soon be CEO you can be sure that there will be no let up in all this. Indeed I understand that this process is well underway and, wouldn’t you know, brand and reputation management communications expenditure is one of the first areas in the firing line. There is one advantage of this of course – at least the disingenuous corporate advertising that has been so heavily criticised here and elsewhere should stop if the budgets are cut! 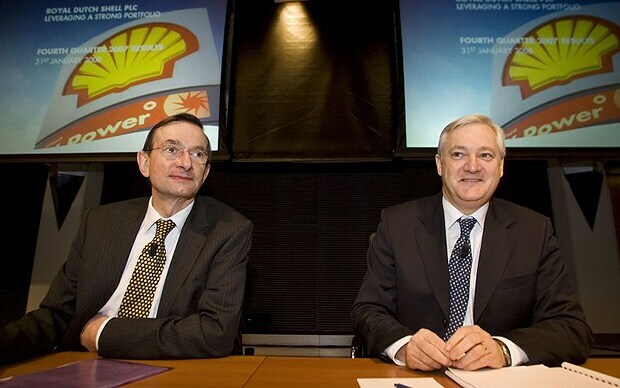 No user commented in " Time for cost-cutting at Shell – again! "